Author Donella Hoyle understands. In her past she has experienced racism, eating disorders, physical and mental abuse. Despite these obstacles and almost giving up she found a powerful solution that helped her find freedom to have a life changing experience. Isn’t it time you broke free from your comfort zone and increase your inner strength. This book will teach you how to release stagnant energy and bring about a life of purpose, meaning and understanding. Combining life experiences, anecdotes, guided meditations and practical exercises. 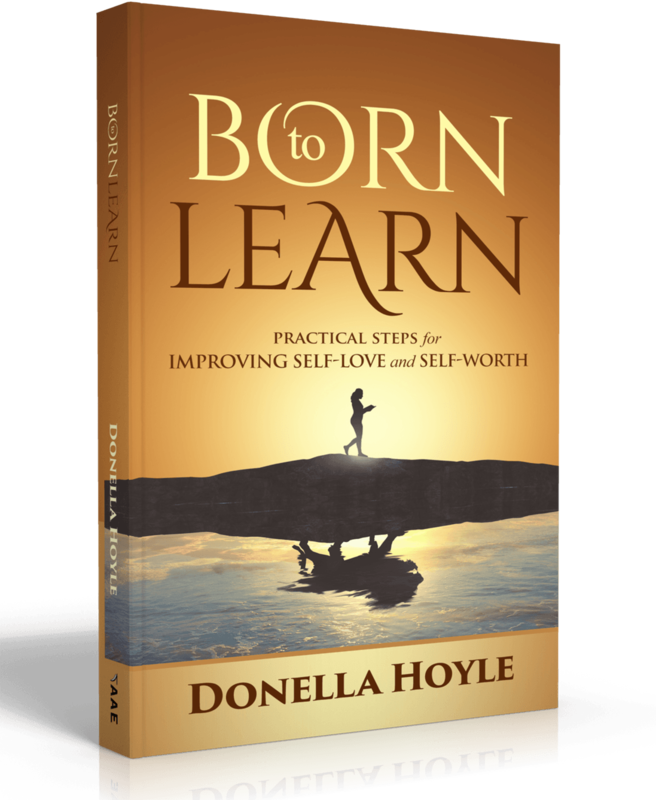 Born to learn provides proven steps towards creating a life full of curiosity, purpose and meaning. START LOVING YOURSELF THE RIGHT WAY TODAY! Donella Hoyle lives in the UK and started her health and wellness business 18 years ago. As a holistic therapist and tutor her passion for healing and serving grew. Her gift of writing emerged when she discovered Yoga as an outlet for self-discovery and solace from abusive and oppressive relationships.